What kind of fastener are you purchasing? There are many options to choose from – here are a few examples of the most popular selections. Bolts: These fasteners are characterized by an external thread wrapped around a cylinder. They are designed for insertion through holes in assembled parts, and are normally intended to be tightened or released by torqueing a nut. 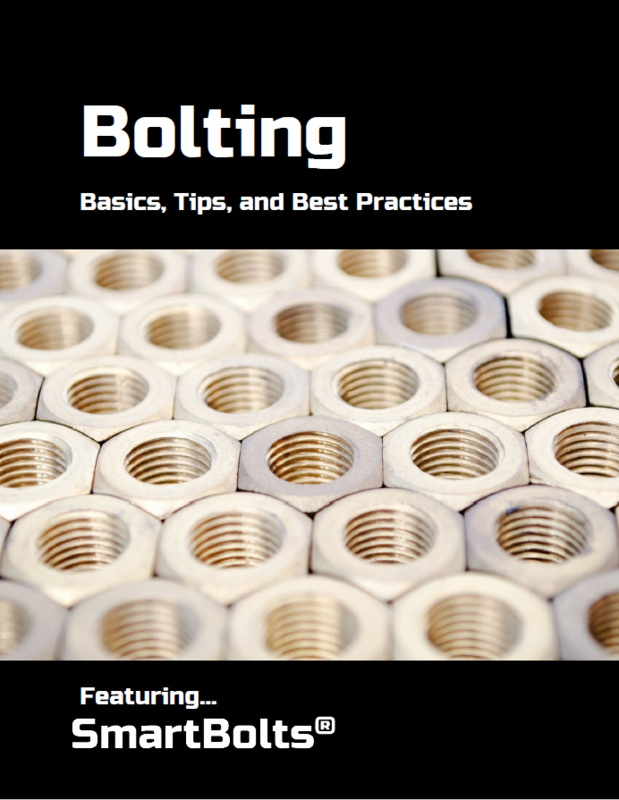 This guide will focus primarily on bolts, though the steps are applicable to all fastener types. Sockets: These fasteners have a cylindrical head containing a socket into which the hexagonal ends of an Allen wrench will fit. Often, these fasteners are used in heavy-duty or structural application and are usually larger sized due to the design of the socket. Rods: These headless fasteners are threaded on both ends or along the entire length. Shorter sections of threaded rod are referred to as studs. They are designed to be used in tension and may have a drive slot in one end to facilitate installation. What measurement units do you require? Fasteners are largely standardized based on two systems. In the United States and Canada, inch-based units (UTS) are common, while much of the rest of the world uses metric units (SI and ISO). Be clear and certain which standard your project requires before purchasing your bolts. This is very important to verify – a multi-million dollar project can fail with the miscalculation of a single fastener type. In 1999, NASA lost an unmanned space mission as a result of a mix-up between metric and imperial units. Its $125 million Mars Climate Orbiter probe was destroyed because its altitude-control system used imperial units but its navigational software used metric units. What type of material do you require? Material selection will be dependent on a project’s unique needs. In most cases, fasteners are produced from steel. Steel: Steel is the most common fastener material and is available in plain as well as various surface treatments, such as zinc plating and galvanization. Steel fasteners are also able to be hardened through various manufacturing methods, increasing strength, though they become more brittle in the process. In metric systems, material hardness is organized into classes. With imperial systems, material hardness is organized into various grades. Class 8.8 Grade 5 These fasteners are hardened to increase strength. Class 10.9 Grade 8 These fasteners are hardened even more and, as a result, are stronger and able to be used in critical applications. Stainless Steel: Stainless steel contains properties that are highly resistant to corrosion. Fasteners in this material will retain corrosion resistance even if scratched or damaged. Unfortunately, stainless steel cannot be hardened and will be significantly weaker than hardened steel fasteners. As a result, the material is often only used if corrosion is a substantial liability and strength requirements are minimal. Aluminum: Aluminum fasteners are many times lighter than steel fasteners, and are inherently corrosion-resistant. However, aluminum fasteners are not nearly as strong as those manufactured with steel. Now that you have a general understanding of your fastener, it’s time to gather some detailed information. Define the thread type. This process specifies two important thread features – its length and manufactured method. Thread length is measured from the end of a fastener to the uppermost thread. Often, fasteners are described as having “full” or “partial” threads. A fully threaded fastener has threads grooved from the bottom of the shank to the bottom of the head. A partially threaded fastener has threads grooved from the bottom of the shank to a predetermined section of the shank. Threads are manufactured by two methods – cut or roll-forming. Threads that are “cut” have had a machine physically remove excess material from a fastener shank, creating machined threads. Roll-forming essentially uses pressure to transform the material of a fastener shank into threads. Since material is not removed with this method, roll-forming is often preferred. Select a finish. A finish is the coating of a fastener and offers it protection from environmental hazards. Plain (Black) – Plain, or black, fastener are bare metal and may or may not have a coating of light oil to resist corrosion. Zinc Plated –Zinc plated fasteners improve corrosion resistance. The electro-plating is available as either clear or yellow plating. Hot Dipped Galvanized – Hot dip galvanizing offers long-term protection for fasteners, often extending more than 30 years. Finally, determine where the fastener should be made and manufactured. Fasteners that are imported from other countries can be less expensive, but are often subject to less regulatory oversight. SmartBolts are always produced in the United States using high-quality materials. Customize your fastener with a visual indication system, only available with SmartBolts. SmartBolts are unique in that they allow users to visually inspect fasteners at-a-glance. An indicator located on the bolt head indicate whether a bolted joint is loose or tight with a clear, visible display that gradually darkens from bright red to black as the fastener is tightened. SmartBolts are simple: there are no wires, instruments or complex procedures. The indicator works on the most accurate principle for tension measurement – actual fastener elongation under load. Fastener pre-load is the tensile force to be developed during installation. It can be designated using KLBF, KIPS, or kN (for additional information on these units, view our bolting terms). SmartBolts are designed to produce a clear and repeatable shift in color from red to black as an installer tightens the fastener to the designated pre-load. In addition to making technicians’ maintenance jobs easier and more efficient, they act as an extra source of security for machinery, structures and the personnel responsible for operating and maintaining these critical joints. Identify the project type and include a mention of environmental concerns. SmartBolts are often used in harsh and hazardous conditions. We include these concerns in our analysis to ensure that SmartBolts will perform in accordance with our stringent quality goals. You’re done! If you’ve followed these steps from start to finish, your requested fastener will have the specifications needed to be sourced by a supplier of your choosing. To learn more about SmartBolts Visual Indication System™, we invite you to continue to browse our website. If you have any questions, feel free to contact us online. If you would like a quotation or to submit a specific fastener for modification, please complete our Custom Request Form.